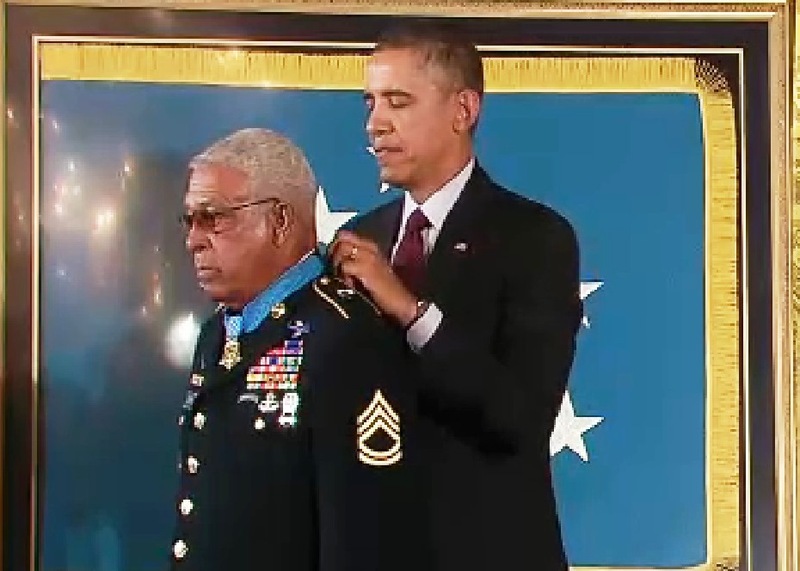 President Obama fastens the Medal of Honor around the neck of Staff Sgt. Melvin Morris during a White House ceremony March 18, 2014. 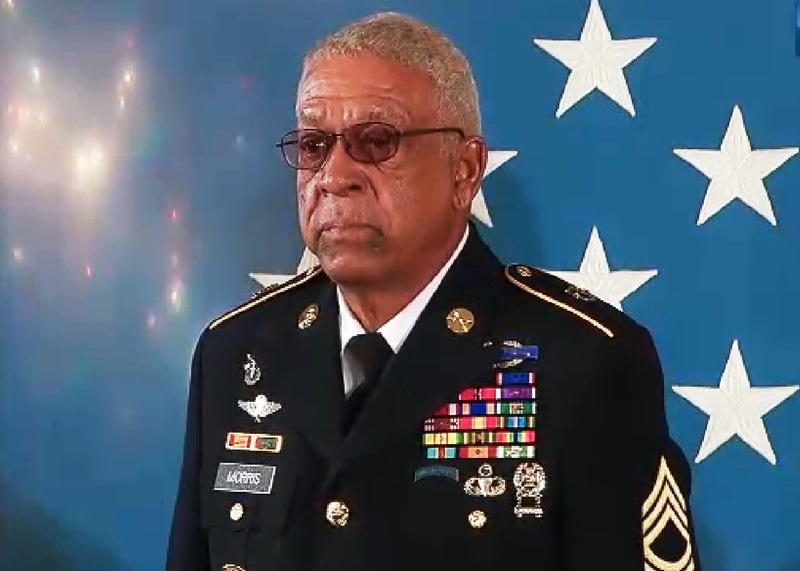 Far from the Vietnam jungles where Melvin Morris served two tours, the Army staff sergeant stood on a stage at the White House Tuesday accompanied by President Barack Obama who awarded him the Medal of Honor. President Obama noted in his opening remarks to the room packed with family members and military that the 72-year-old Florida resident Morris was one of the first Green Berets. Staff Sgt. Melvin Morris as he listens to the citation begin read describing his valor in Vietnam why he was awarded the Medal of Honor. In a ceremony that lasted more than an hour, Morris was recognized for his valor on Sept. 17, 1969, near Chi Lang. Then-Staff Sgt. Morris led an advance across enemy lines to retrieve a fallen comrade and single-handedly destroyed an enemy force that had pinned down his battalion from a series of bunkers. Staff Sgt. Morris was shot three times as he ran back toward friendly lines with the American casualties, but did not stop until he reached safety. In 1970, Morris received the nation’s second-highest honor for valor, the Distinguished Service Cross. But like the 23 others recognized in the March 18, 2014 Medal of Honor ceremony, it was determined that Morris deserved the highest honor, the Medal of Honor, but had been denied that originally due to discrimination. You can read more about Morris in an Army News Service article and watch the White House ceremony. 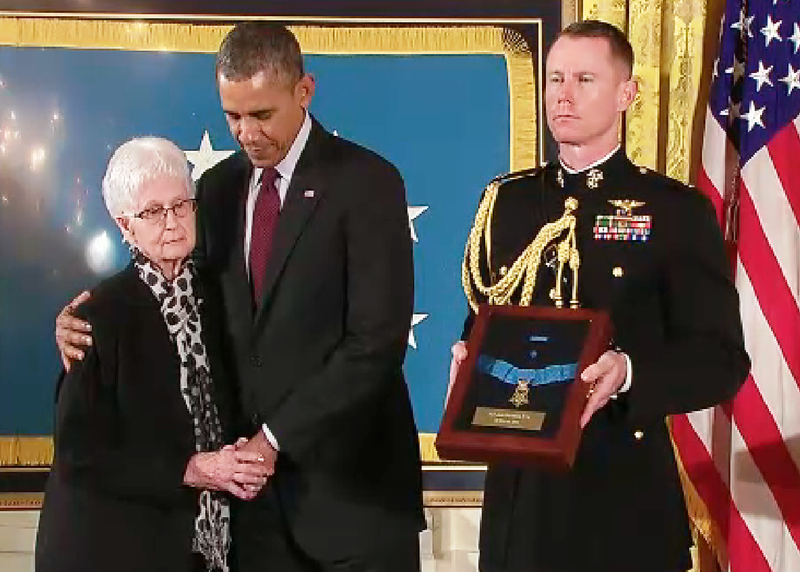 You can read more about the 24 Medal of Honor recipients and the White House ceremony here. President Obama comforts the widow of Sergeant Jack Weinstein as the citation describing his bravery in combat is read during the posthumous presentation of his Medal of Honor. Army veteran Melvin Morris will receive a delayed Medal of Honor in a White House ceremony this Tuesday. Photo courtesy: Army News Service. 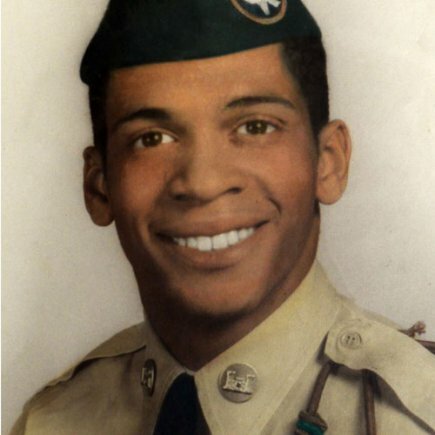 Melvin Morris served two tours of duty in Vietnam, but because of his race he didn’t receive the Medal of Honor. Morris talks to NPR’s Rachel Martin about the award he’ll receive from President Obama. You can listen to the interview, which aired March 16, 2014, on WUSF 89.7 FM. Morris told Martin that he has no regrets. “I am never angry about it. You know war is war and we do what we’re told to do and we don’t determine the outcome,” Morris said. The former Army sergeant spoke with Martin from his home in Port St. John, FL. He and is one of 24 veterans to be awarded the Medal of Honor in a White House ceremony March 18, 2014. All but three of the awards are posthumous with seven going to World War II veterans, nine to Korean War veterans, and eight to Vietnam War veterans. First Class Army Sgt. Melvin Morris served 23 years including two tours in Vietnam. Photo courtesy: Army News Service. Morris is one of the three living Vietnam veterans who will be present at the ceremony. He served with distinction for 23 years in the United States Army. And the military life agreed with Morris and his family reports Lisa Ferdinando for the Army News Service. “I never regret not one day of being in the military. Not one. The bad days are good and the good days are good,” he said. Morris left the Army for three years, but his devotion to duty and commitment to the nation were too strong and beckoned him back into the uniform. You can read more about Morris’ service to his country and the day-long battle in a Vietnam jungle in the Army News Service. Morris displayed the the “highest valor” but only received the Distinguished Service Cross because of his race. You can read the citation for his Distinguished Service Cross which is being upgraded to the Medal of Honor this week. After a career spanning 46 years and four days, Army Col. Warner “Rocky” Farr retired today, April 25, 2013. His military experience started as a Green Beret in the jungles of Vietnam ended as the command surgeon of U.S. Special Operations Command Central at MacDill Air Force Base in Tampa, Florida. 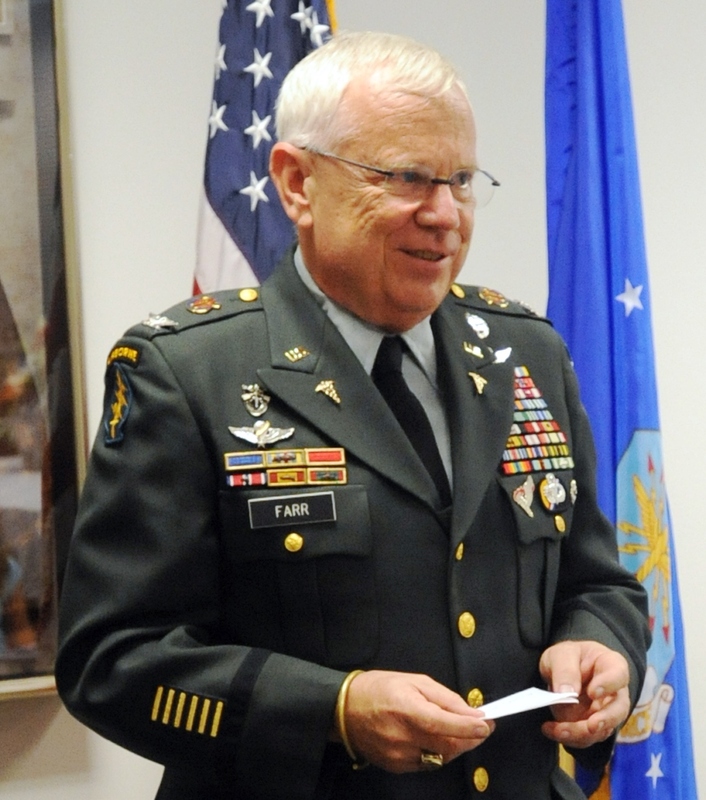 Farr, retiring at age 64, is “the third-longest serving soldier in the Army and one of only 13 of more than a half-million on active duty who served in Vietnam” according to the Tampa Tribune. Reporter Howard Altman wrote a comprehensive profile about this accomplished military man. I encourage you to read it. Congratulations to Col. Farr and his family because we all know that in the military, it’s the whole family that serves and may they all enjoy a retirement well earned. Bill McBride volunteered for the Marine Corps and Vietnam in 1968 – which defined his character and life. Tampa attorney McBride died Saturday while spending the holidays in North Carolina. He is being memorialized by family, friends and colleagues at a Tampa service Dec. 28, 2012. McBride was a loving father and husband and will be remembered for the strides he made as a former managing partner of Holland & Knight and more recently as senior partner of the law firm of Barnett, Bolt, Kirkwood, Long & McBride. As a novice political candidate, McBride also will be remembered for his relentless spirit yet unsuccessful campaign against incumbent Florida Governor Jeb Bush. It was during that 2002 campaign that a fellow Marine and Vietnam veteran Ralph Quallen, nicknamed Heavy, came to Florida on his own to campaign for McBride. Patriot Guard Riders showed up to support a fellow veteran who lost his son during the Benghazi raid on the U.S. diplomatic staff in Libya. More than a dozen Patriot Guard Riders, American flags at their sides, lined the sidewalk Monday morning at the entrance of the Bay Pines VA Hospital. They greeted all veterans arriving – but they were there for someone specific, Ray Smith, a Vietnam veteran and father of Sean Patrick Smith. Sean Smith was one of the three men killed along with U.S. Ambassador Christopher Stevens in the Benghazi raid. Sean Smith served in the Air Force six years and then spent 10 years as a computer expert with the State Department. Ray Smith shakes hands with one of the Patriot Guard behind him, Cong. Bill Young greets another rider. Ray Smith’s ex-wife was officially notified of their son’s death, but the father learned about it while watching television as the four coffins were returned from Libya. 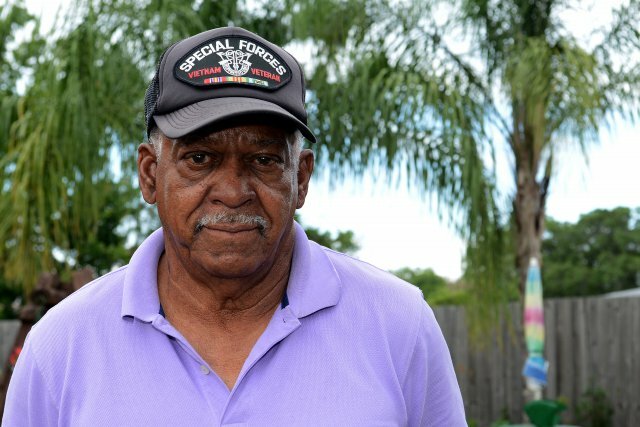 Ray Smith was a Marine who served as a “tunnel rat” during Vietnam. So, the lack of protection for the diplomatic staff made him angry and he blames President Obama. Ray Smith hugs the framed Congressional proclamation and photo of his son hanging in the VA family counseling room. “I don’t know how long it’s going to take to investigate, but the people of America basically are demanding answers, my constituents are demanding of me that I get the answers,” Young said. Young has been trying to get answers for Smith and also help him deal with his grief. The congressman asked Bay Pines VA Hospital, where Ray Smith receives treatment for his wounds suffered during Vietnam, to help honor Smith’s son. On Monday, a fourth floor counseling room where families meet with chaplains and physicians to discuss difficult medical decisions was dedicated in Sean Patrick Smith’s honor. A parchment copy of the congressional proclamation recognizing Smith’s sacrifice and his photo are neatly framed and hangs in the room. When it was unveiled, Ray Smith went over, hugged the picture frame, then took a step back and saluted his son.